Joseph Bertrand, Illinois, Shooting Guard: The Illini graduated their top two perimeter players in Brandon Paul and DJ Richardson. Groce’s perimeter-oriented offense was a perfect fit for the duo, who hoisted threes any chance they got and made enough of them to drive their team into postseason play last year. With those two now gone, Bertrand will become a primary scoring option. He has great athleticism and leaping ability which allows him to get to the rim, and when he gets fouled, the senior sports a 77 percent conversion rate from the line. The Illini might at times run with a smaller lineup featuring Bertrand at the four because he is a decent rebounder for his size. On the offensive end, Groce has to allow Bertrand to isolate occasionally, as he can either beat his defender to the rim or force opponents to bring help defense and leave the shooters wide open on the perimeter. 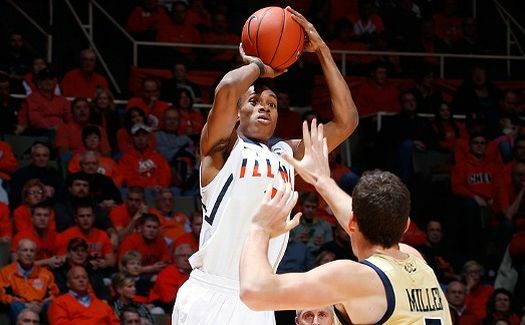 If Illinois wants to get back to the NCAA Tournament, it will need a big year from the senior Bertrand. Since winning its first 17 games of the season, Baylor has struggled mightily against tougher competition and played mediocre .500 basketball in its past 10 games. Facing a 10-point halftime deficit on Monday night at Texas, it looked as if the Bears were going to drop another game and confirm beliefs that this team lacks the toughness to win big games. But forward Quincy Acy stopped the wheels from falling off, going for 14 of his 22 points in the second half and lifting his team to a 77-72 road win over the Longhorns. 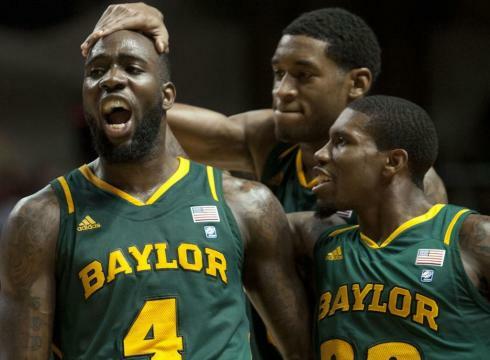 While Baylor has been unable to play to its potential in the Big 12, the senior Acy has displayed consistent 100% effort to ensure that his team cannot be counted out just yet. It remains to be seen if Baylor’s talented roster will ever produce elite results, but the leadership from Acy is there to prevent a complete meltdown from occurring. From a pure talent perspective, Acy is not even one of the top two forwards on this Baylor team. Freshman Quincy Miller and sophomore Perry Jones III are both projected 2012 NBA Draft lottery picks, according to DraftExpress. While both players have tremendous upside as impact offensive players, both have also struggled to establish themselves as reliable players in difficult games. Miller was a complete non-factor on Monday and failed to score in 22 minutes, while Jones shot 3-14 for just 10 points and three rebounds in another disappointing effort. But team leader Acy was a man among boys in the paint, physically out-working and out-hustling everyone else on the floor for one of the best games of his career. He finished with 22 points and a career-high 16 rebounds to secure a big victory for the Bears that at least temporarily halts concerns that they could be in a major slide heading into the Big 12 Tournament.